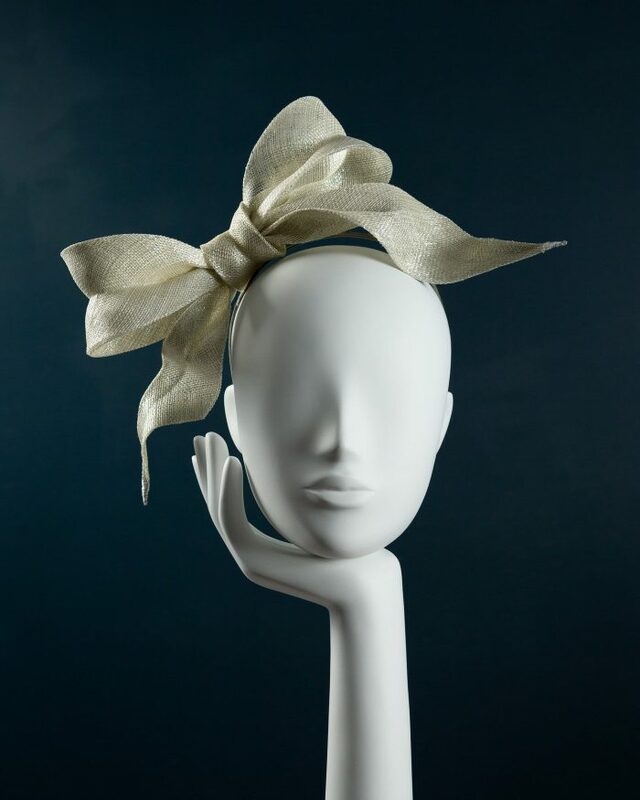 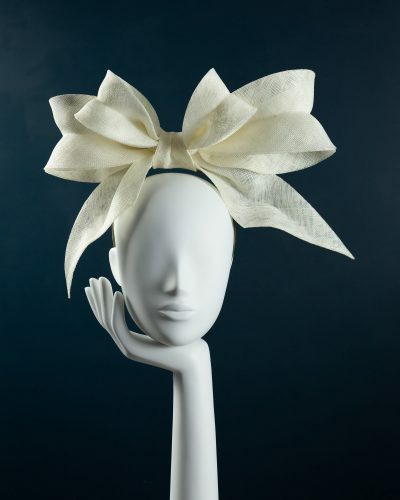 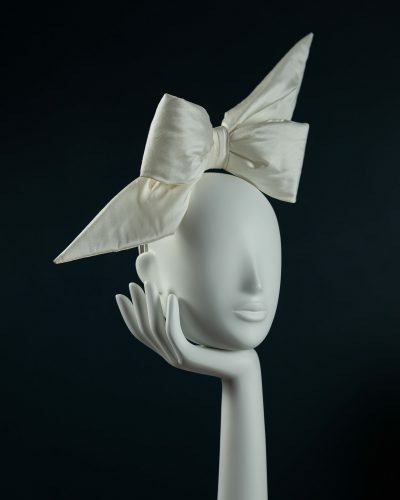 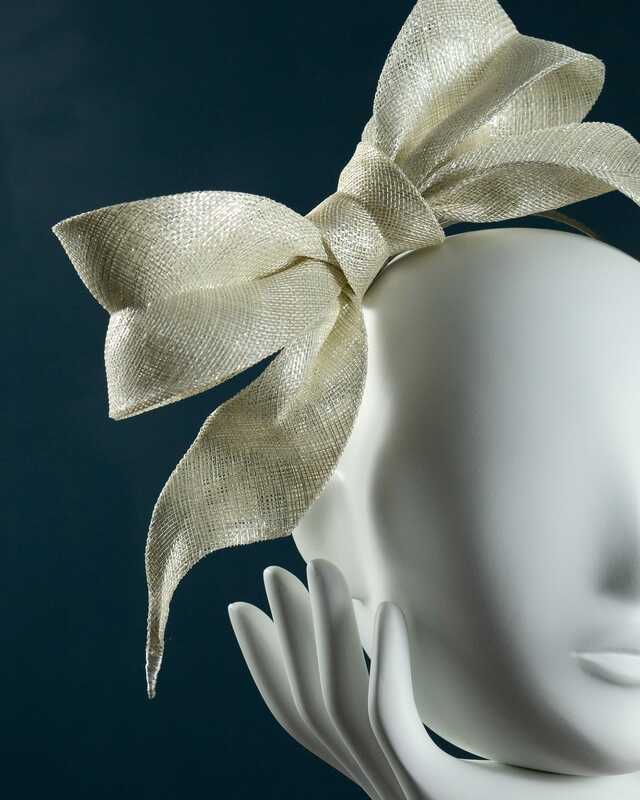 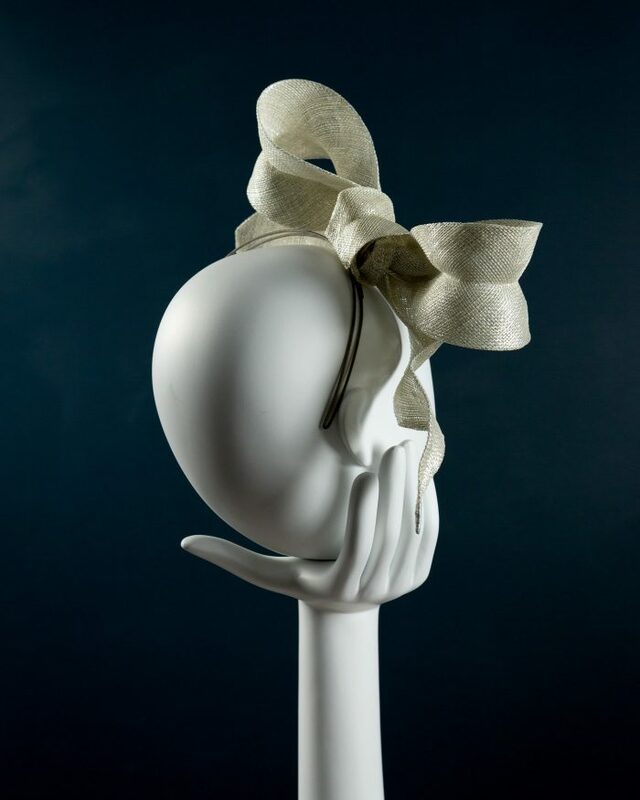 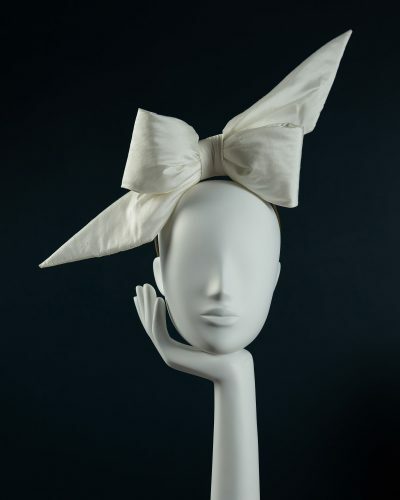 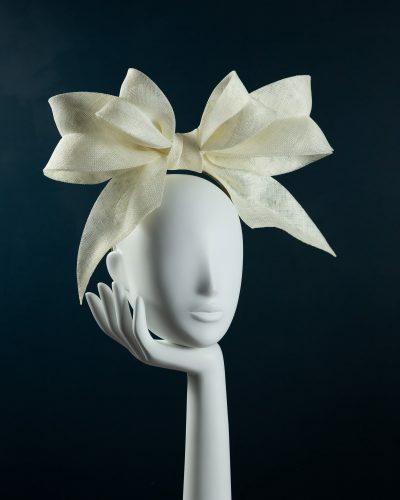 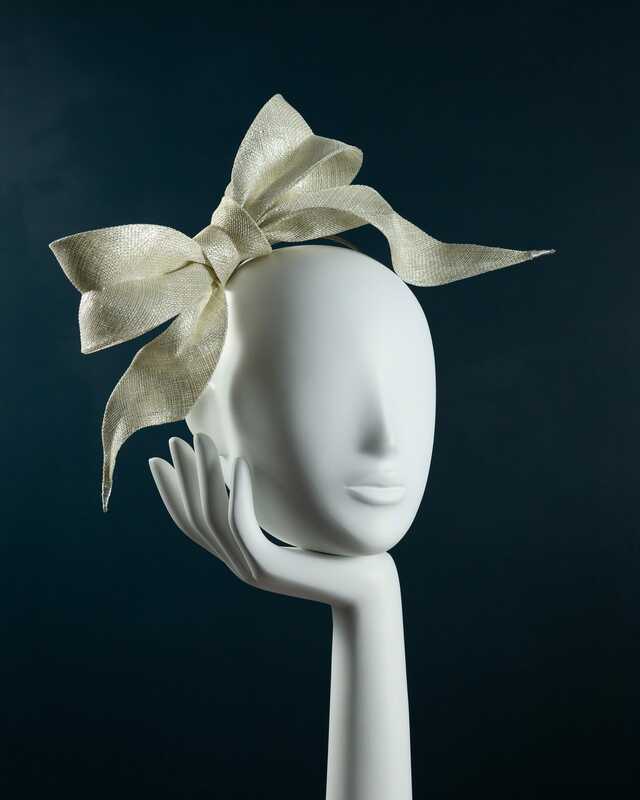 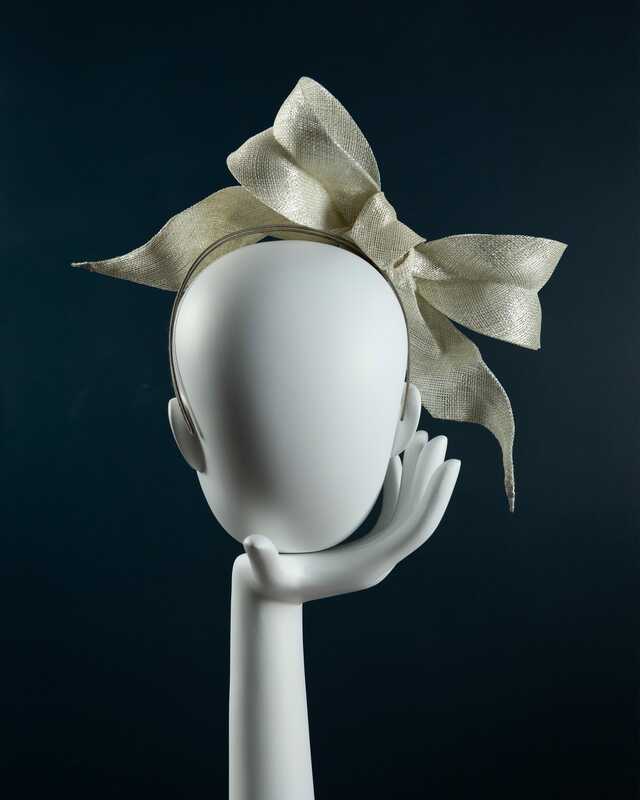 Handcrafted sculptural sinamay bow in metallic silver. Available in other colours. 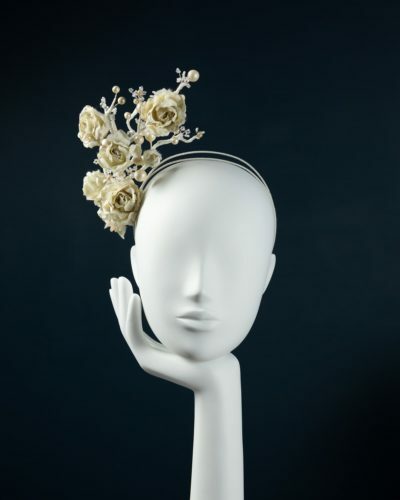 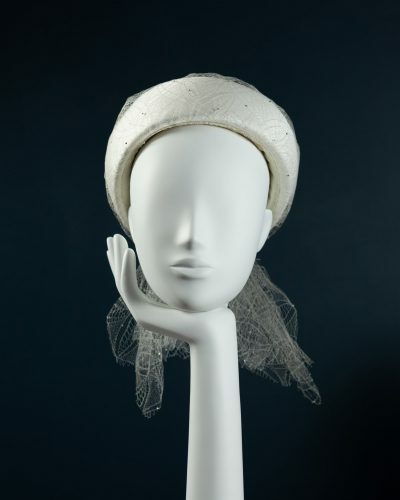 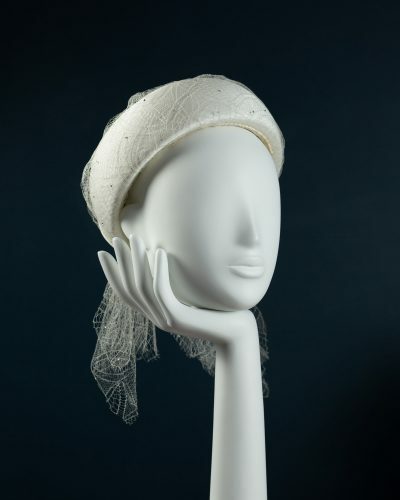 Can also be teamed with Merry Widow veiling.